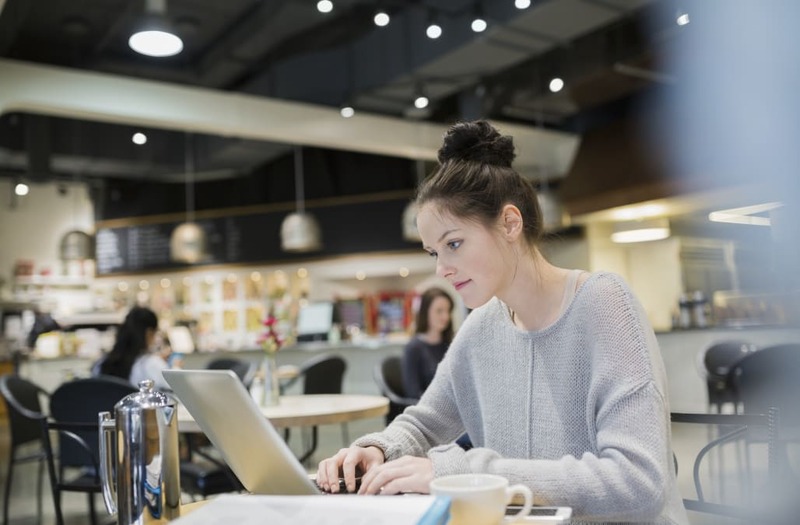 For students pursuing undergraduate or graduate degrees, online learning offers a more flexible option, enabling many of them to boost their careers as they continue working full time. More than 6 million students enrolled in at least one online course in fall 2015, with private nonprofit schools experiencing the fastest growth, according to a 2017 report. Experts say online programs vary in flexibility – some offer classes with self-paced learning while others include real-time video conferencing. West Texas A&M University tied for No. 9. University of Oklahoma also tied for No. 9. Colorado State University--Global Campus also tied for No. 9. University of North Carolina--Wilmington also tied for No. 7. Pennsylvania State University--World Campus also tied for No. 7. Oregon State University took No. 6. Utah State University rose to No. 5 from No. 14 last year. Arizona State University took No. 4 this year. Temple maintained its previous rank at No. 2. Embry-Riddle, formerly No. 1, dropped to a tie at No. 2. Ohio State University—Columbus earned the top spot among online colleges, a jump from a tie at No. 8 last year. Many students cite career aspirations as their main reason for earning an online degree, with plans to either switch fields or attain more senior roles in their companies. Prospective students interested in an online program can turn to U.S. News' 2018 Best Online Programs rankings, released today, to compare their many options. For the seventh year, U.S. News ranked online bachelor's degrees along with master's degree programs in business, computer information technology, education, engineering and nursing. U.S. News also ranked online criminal justice master's degree programs for the fourth year, and online MBA programs were once again ranked separately from other business degrees. U.S. News also once again ranked the Best Online Programs for Veterans. To be eligible for this ranking, a program must rank within the top half of schools in the 2018 Best Online Programs. An online program must also belong to a school that's certified for the GI Bill and helps veterans reduce tuition costs via the Yellow Ribbon Program or by offering in-state tuition to out-of-state veterans. Starting last year, U.S. News required schools in the veterans rankings to enroll a critical mass of students with military backgrounds to become eligible: a total of 25 veterans and active service members at the undergraduate level, and 10 total for each graduate-level ranking. Temple University and Embry-Riddle Aeronautical University tied for the No. 1 spot in the 2018 rankings of online bachelor's programs for veterans. Nearly 1,500 online degree programs submitted data to U.S. News this year. U.S. News ranks programs that are completely online, though one can still be ranked if it has orientations, clinical requirements, support services or other in-person elements. The rankings don't differentiate between for-profit and nonprofit programs and don't include blended programs, which combine on-campus and online learning. U.S. News ranks accredited online programs based on various factors, including faculty credentials and training, student engagement, peer reputation, and student services and technology. All programs except for online bachelor's degrees also weigh admissions selectivity. Some programs saw major gains or drops in the rankings, typically due to schools completing survey questions they hadn't in the past and minor adjustments to the methodologies. The total number of programs submitting data continues to rise each year, which also has an impact. 10 Things to Know About MBA Programs Outside the U.S.